I posted about this a year ago, and due to life being life, I am just getting back to this project now. 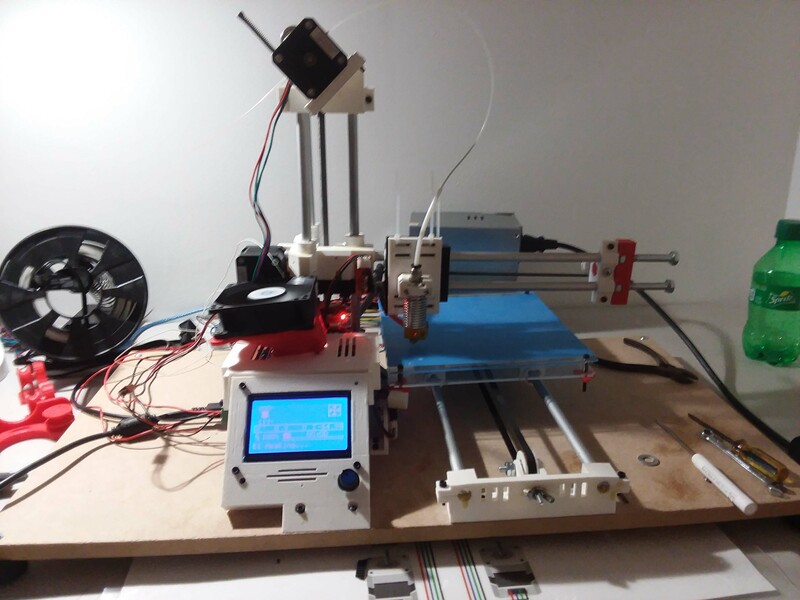 My Z axis motor doesn't seem to move at all, and the X axis sounds like it's just skipping and it isn't moving. It's been a frustrating project, honestly. I have the Y axis moving appropriately, so I don't know why the other two won't move. 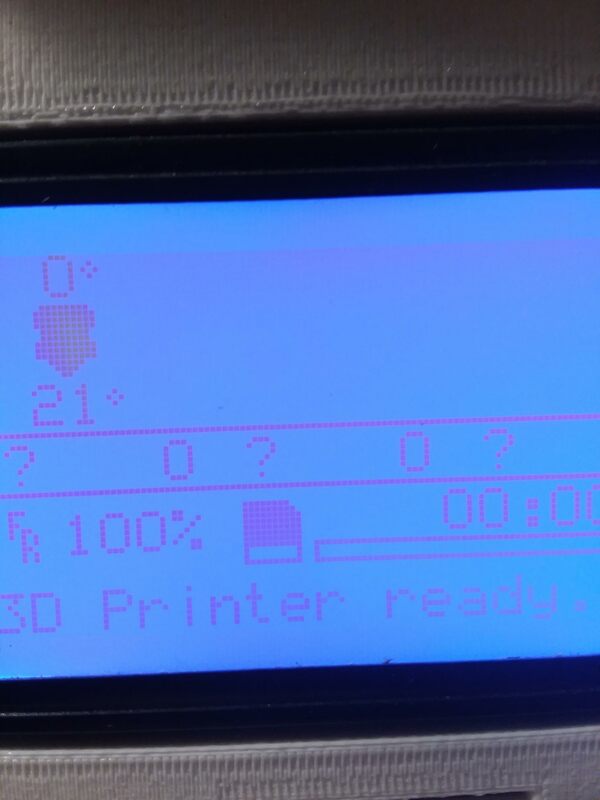 Also, the extruder won't seem to take the filament into the hotend so there's no extrusion either. Effectively i've been a quarter of a printer, and I'm banging my head against the wall to figure this out. I'm sure it's simple enough, but it escapes me at the moment. 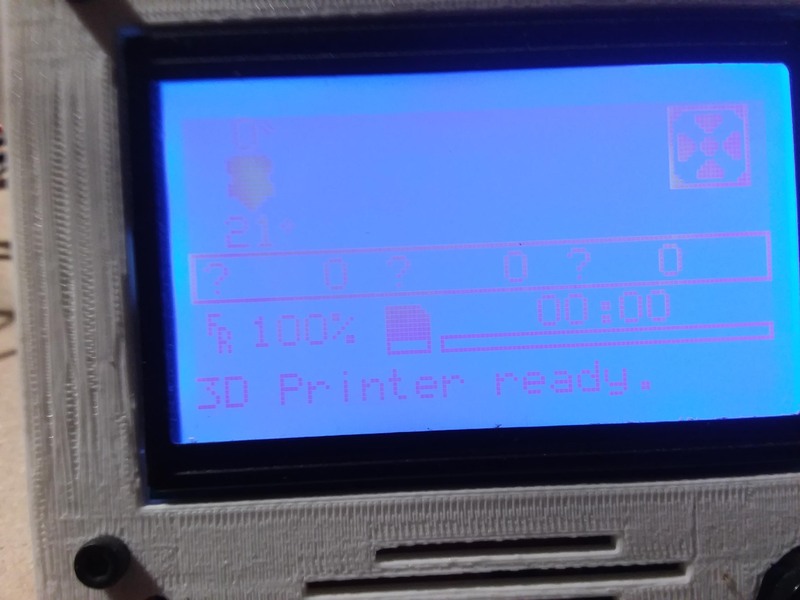 I was also getting an odd (to me) display showing 0 or ? for the axis positioning. I've attached images, maybe they'll mean something to someone. I have the axis control fixed, so it moves and will go through the motion of printing but extrusion still eludes me. I'm positive that it's the missing bowden coupler on the extruder that's causing a lack of pressure. I'm using the Compact Bowden Extruder from Thingiverse so I have to find out where to get a fitting that will fit it. I thinks it’s a pc04? 5mm to 6mm thread from memory... make sure you thread the coupler in straight or you will have issues... where are you located? I'm in central new jersey, I think it is a pc04-m5 from what I've gathered. Now I just gotta get a hold of them.